The Iowa senator's decision means that Sen. Lindsey Graham, R-S.C., will likely be the panel's next chair. 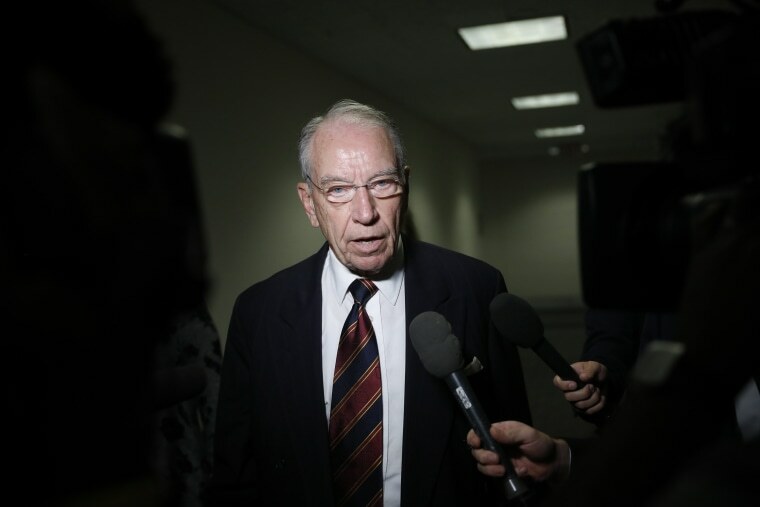 WASHINGTON — Sen. Chuck Grassley announced Friday that he plans to cede the gavel of the Senate Judiciary Committee next year, becoming chairman of the Senate Finance Committee instead. Grassley’s decision to step aside comes after the high-stakes battle over the Supreme Court nomination of Justice Brett Kavanaugh, who ultimately was confirmed despite allegations of sexual misconduct against him. Sen. Dianne Feinstein, D-Calif., serves as the ranking member on the committee. The Judiciary Committee provides oversight of the Department of Justice and the agencies within it such as the FBI, as well as the Department of Homeland Security. It also weighs judicial nominations made by the president, voting on whether to send them to the full Senate for confirmation.